A small serving of elegant white fruit dishes. 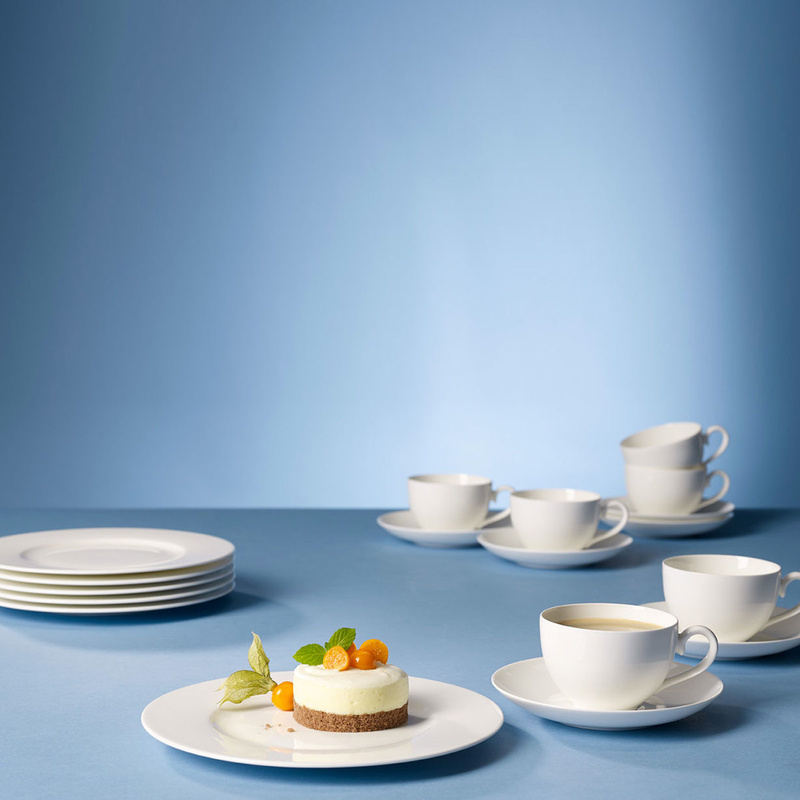 Villeroy & Boch fruit dishes were designed more than 15 years ago for the Royal dinner service. It is one of the greatest achievements of the company, given that over the years they have sold many pieces, and the set is still in the catalogue. The refinement of the Royal fruit dishes is in their utter simplicity. 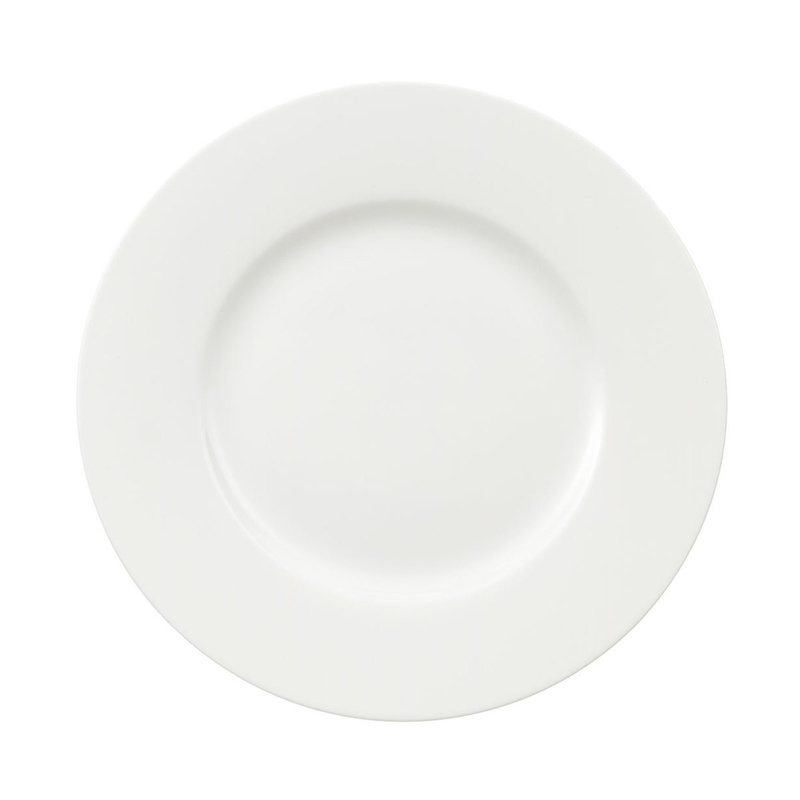 The dishes are made of Bone Premium porcelain, thin and light, almost ethereal. The white color make these fruit dishes perfect to accompany any table set, even the most elegant or joyful and fun-loving. The shape is very simple, a circle with a diameter of 22 cm, with a slight groove in the middle which gives way to a wide flat edge. Elegant and linear, the Royal fruit dishes are also suitable for a buffet or an aperitif with friends. Despite the ethereal and delicate appearance, the excellent quality of the materials used by Villeroy & Boch make these fruit dishes dishwasher safe. They are also ideal as an original gift, thanks to the neutral colour that allows you to use them also with dishes of other collections. Not everyone uses the fruit dish, but you must take into account that in general these dishes are not presented during the meal, but only at the end of it, when all the rest of the dishes has already been cleared. A very versatile and practical set of dishes, designed for those who like to always have everything in order and enrich the table with small fine details. 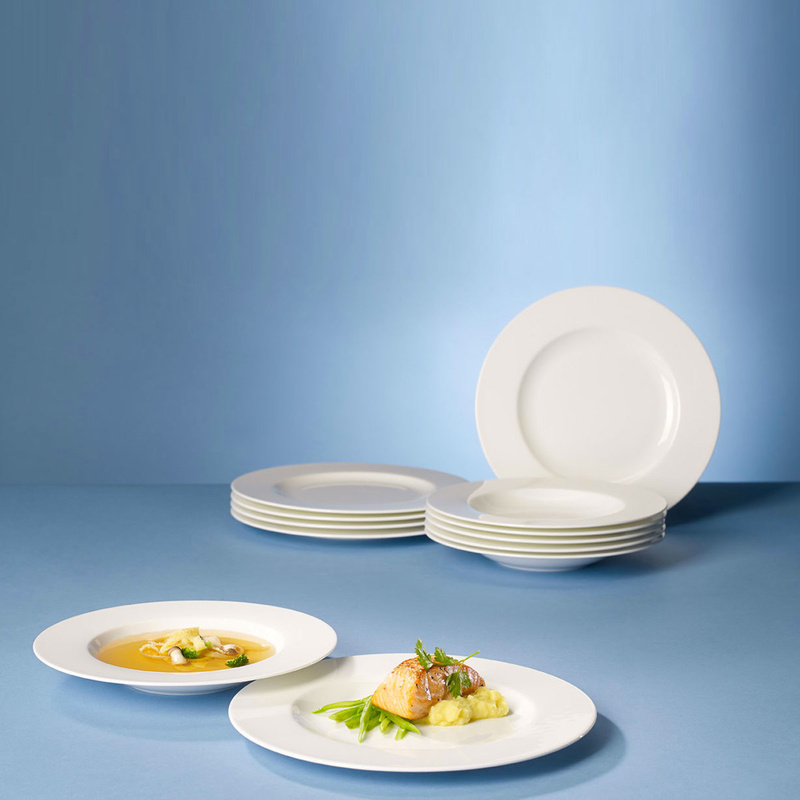 Villeroy & Boch also produces other elements of the set of Royal dishes, ideal to accompany the set of fruit dishes, with larger plates or even with serving plates of different sizes. They are perfect for those who love beautiful and luxurious things.